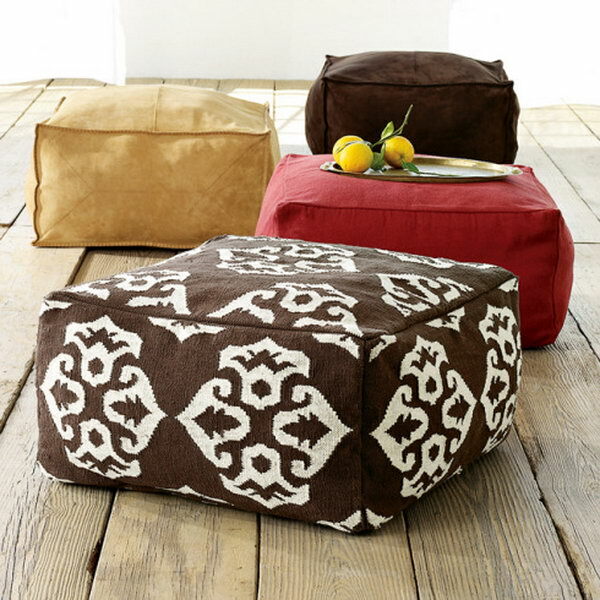 An ottoman is a padded seat without arm or backrest. 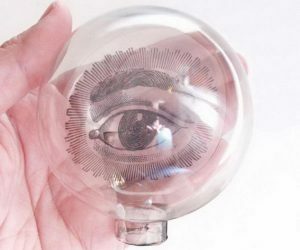 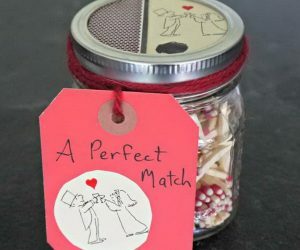 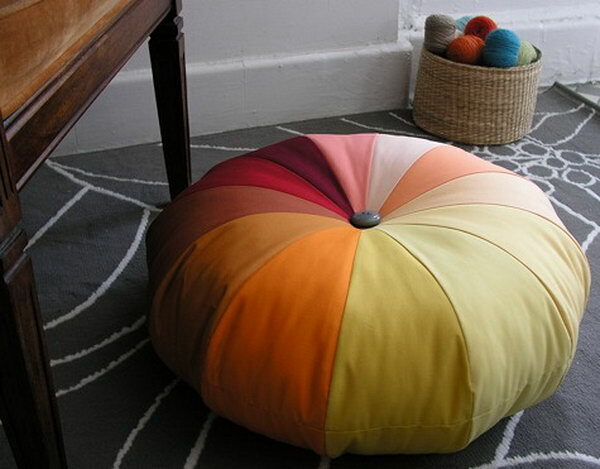 It can be a vital and accented piece of furniture for your home decor. 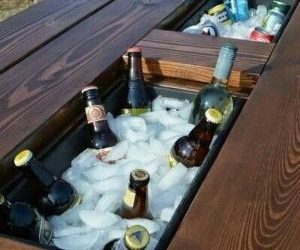 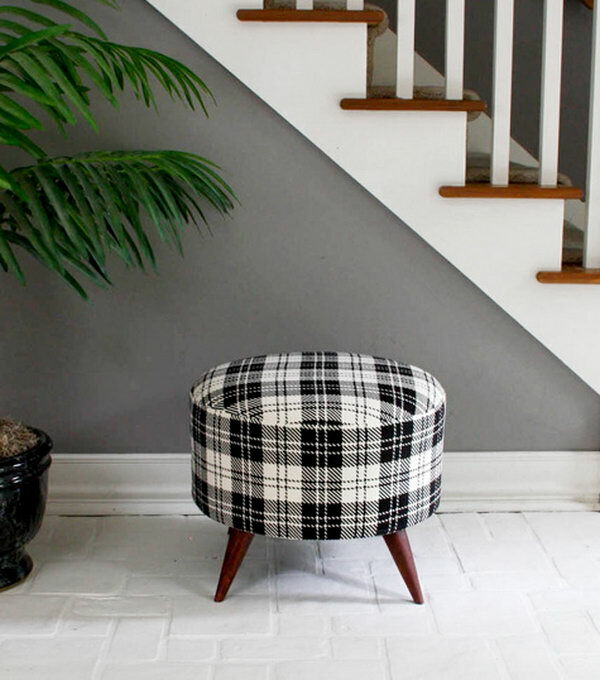 You can use an ottoman as a stool, a footstool, sometimes as a coffee table, an impromptu dining table, a bench at the end of your bed and more, according to its design. 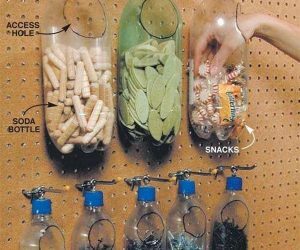 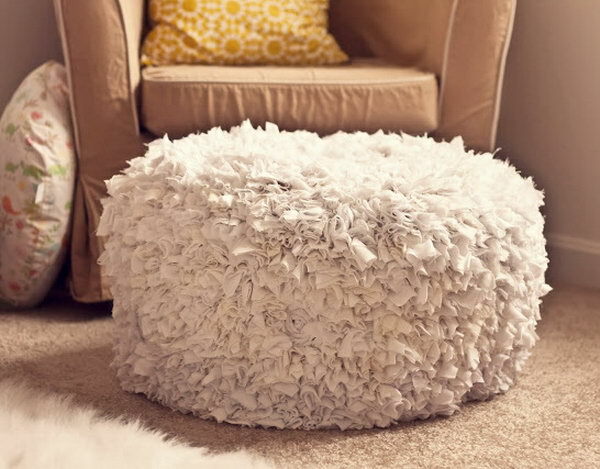 Even this statement piece can also double as a chic storage solution. 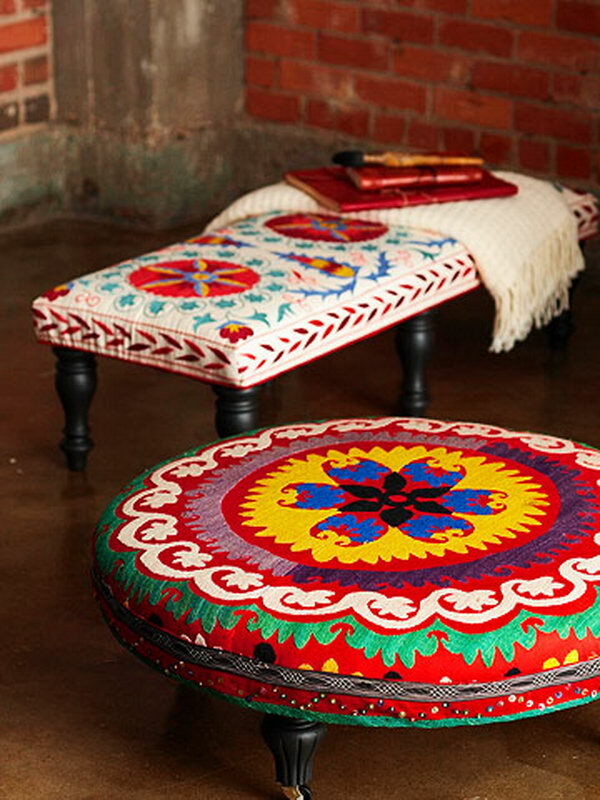 Almost nothing can beat the usability of an ottoman, when it comes to adding functional furniture to your living room or bedroom. 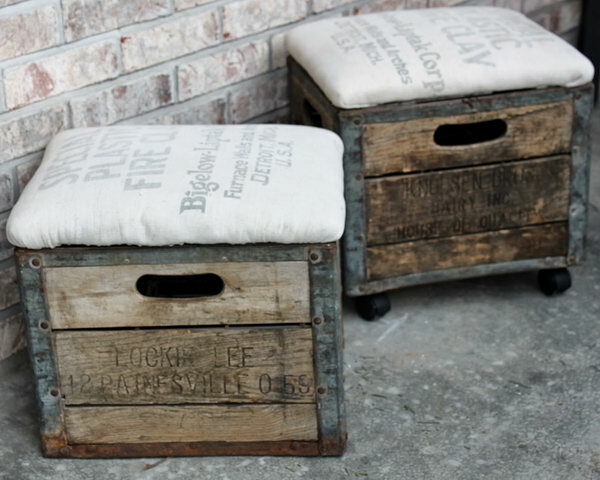 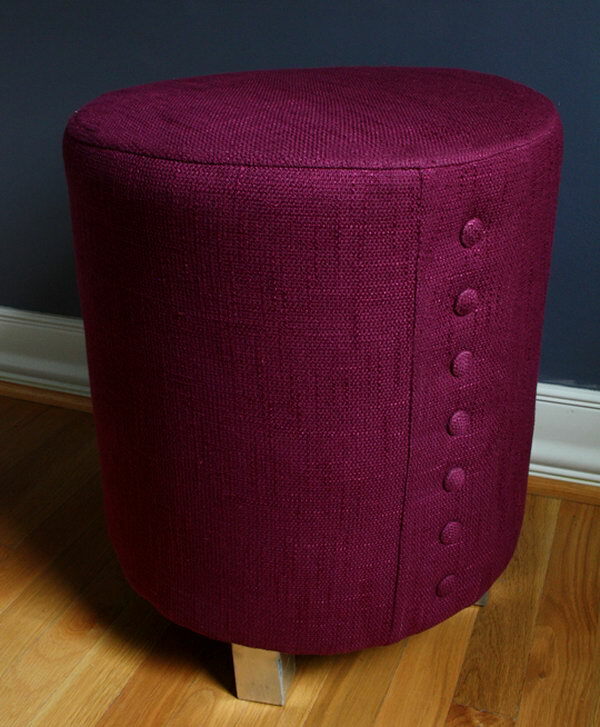 While these low-standing and upholstered stools are often a bit expensive when purchased at a furniture store. 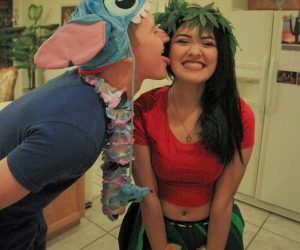 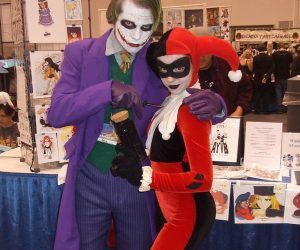 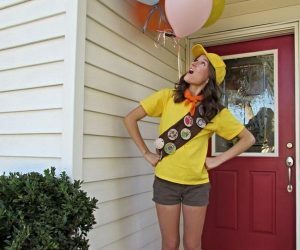 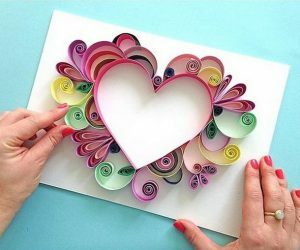 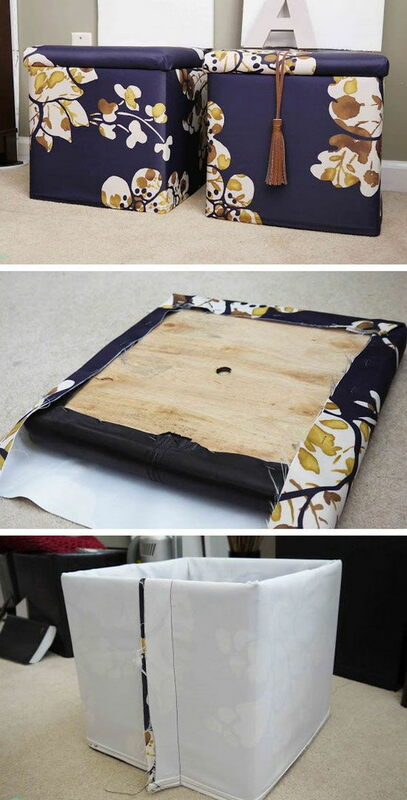 Don’t be discouraged, if you have basic carpentry and upholstery skills as well as tools and time, you can build your own custom ones. 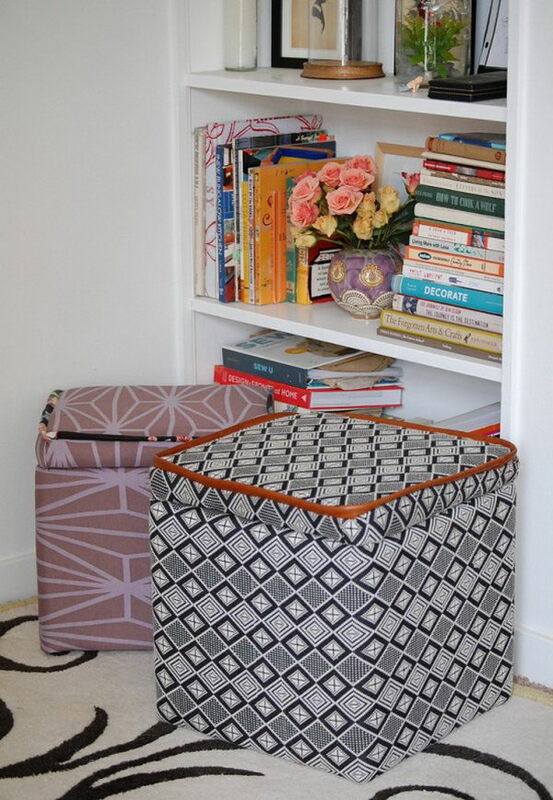 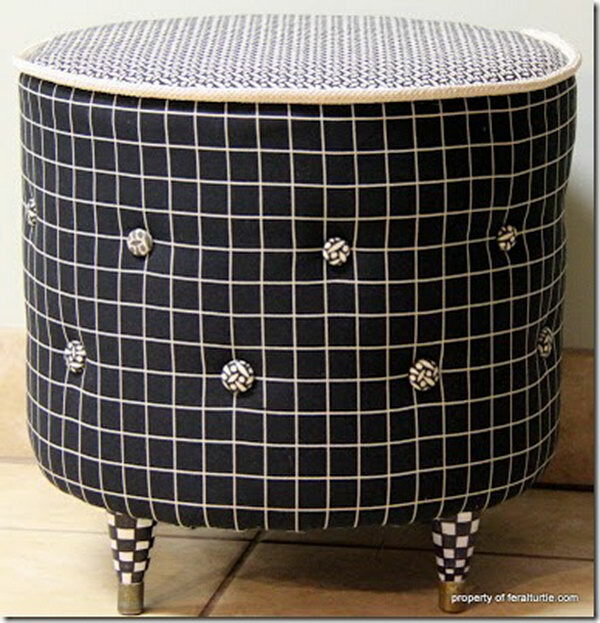 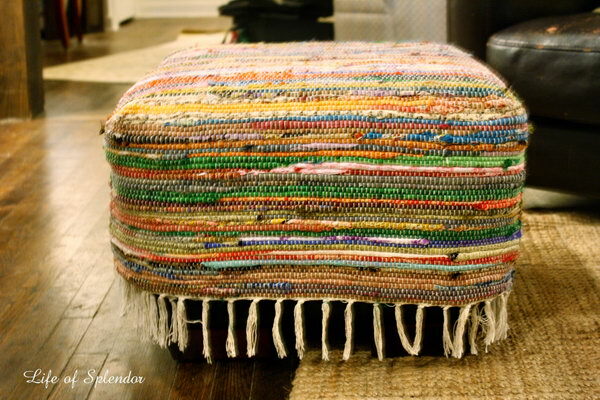 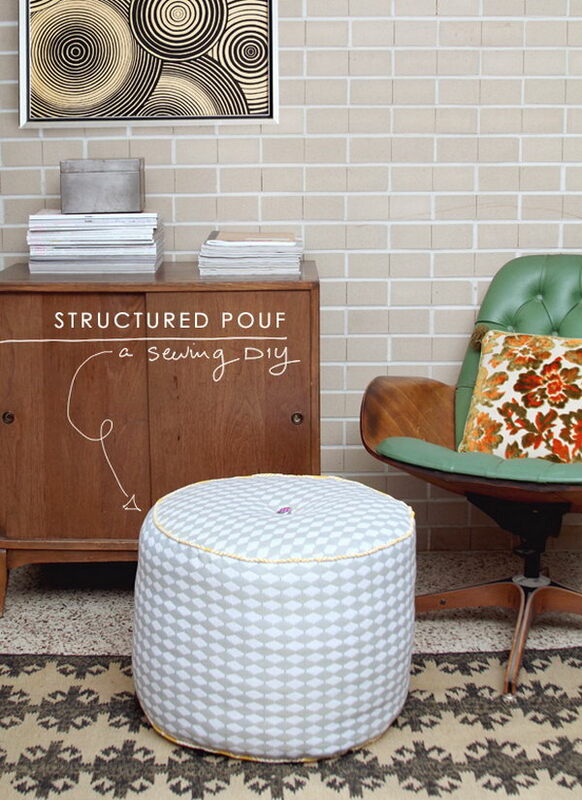 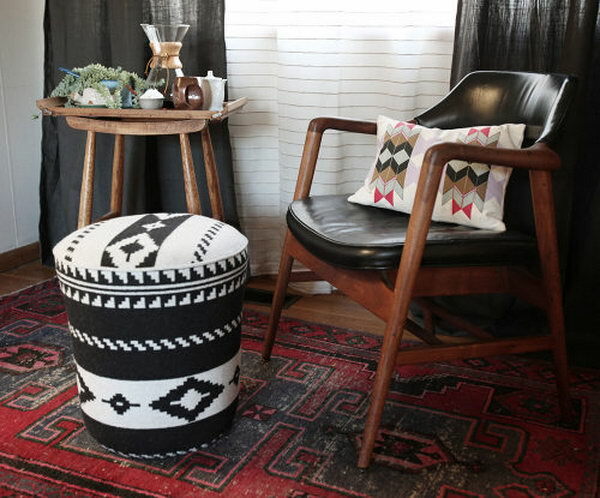 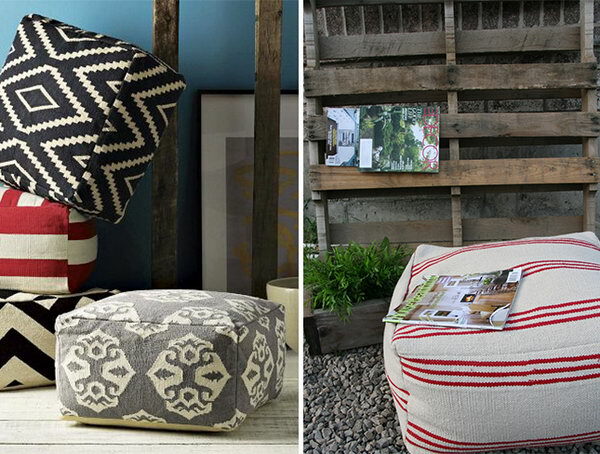 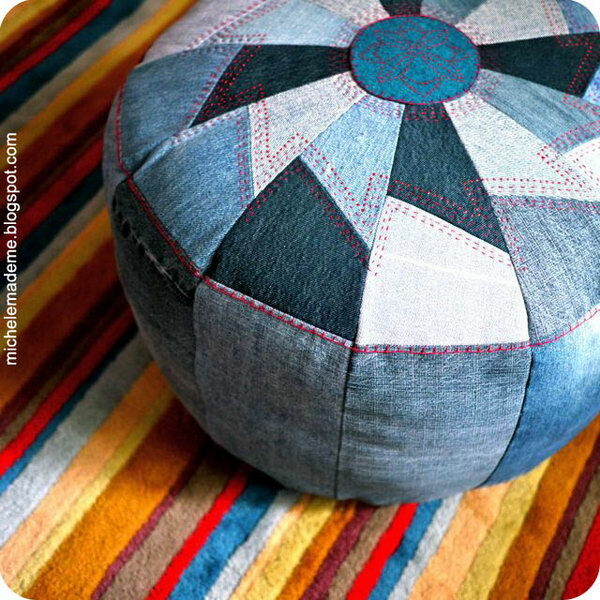 Making your own ottomans will surely save much money for you and make your room more creative, chic and stylish. 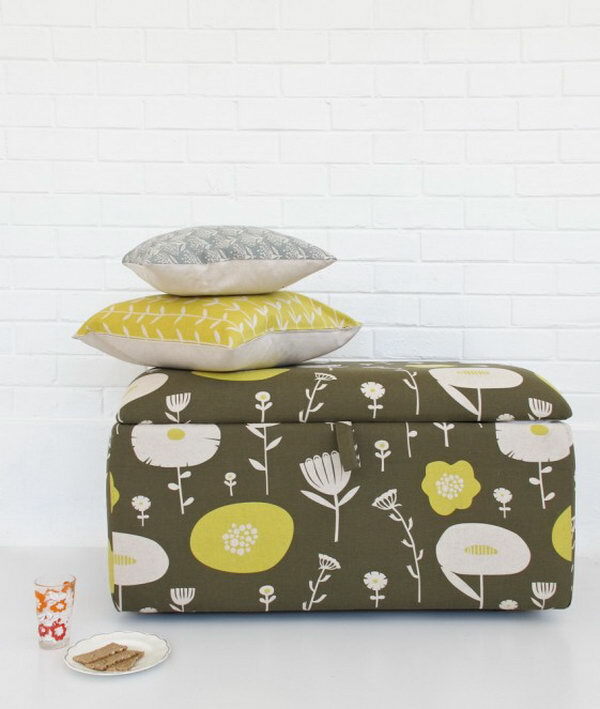 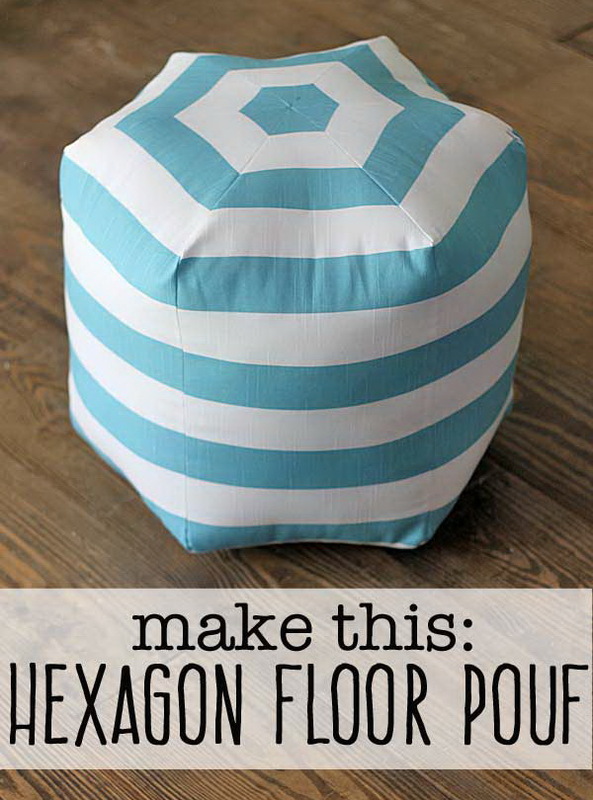 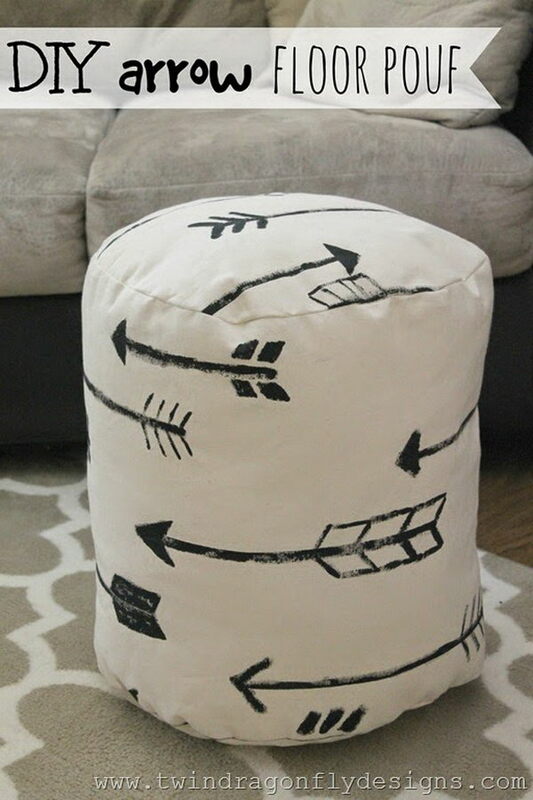 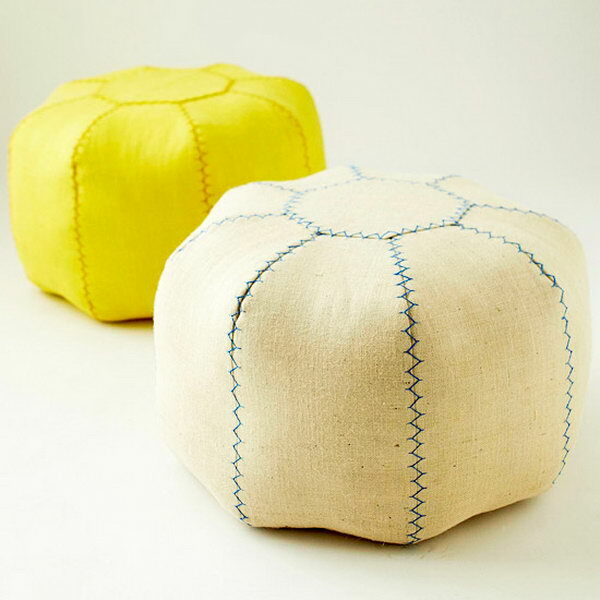 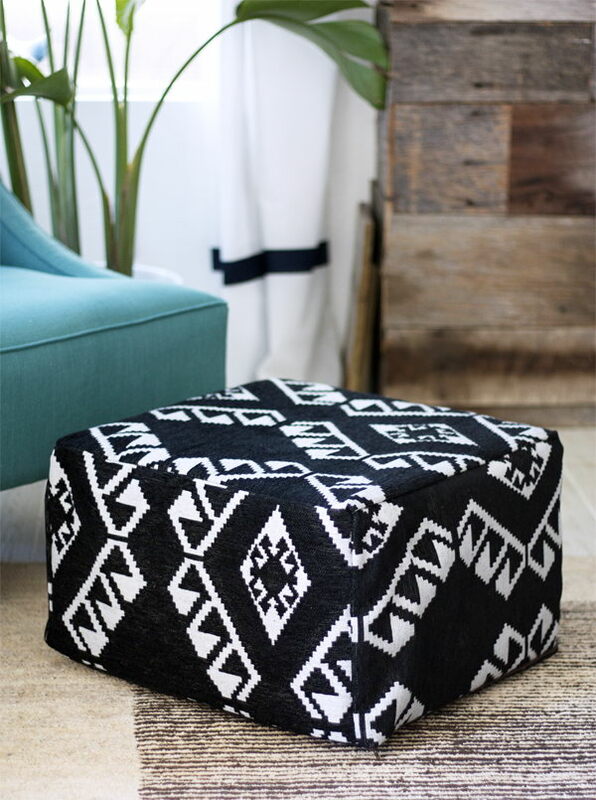 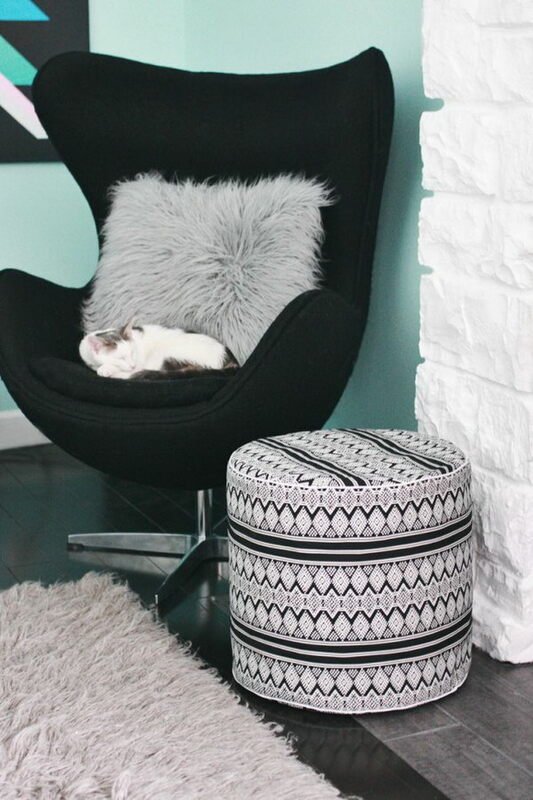 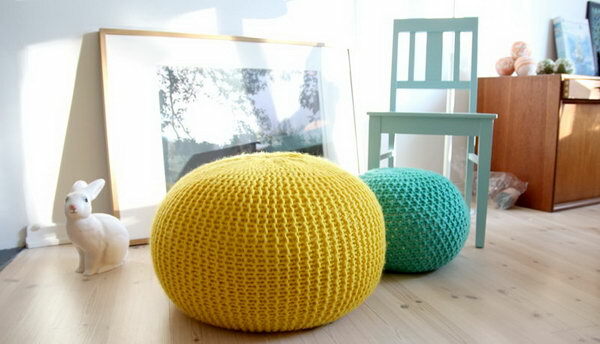 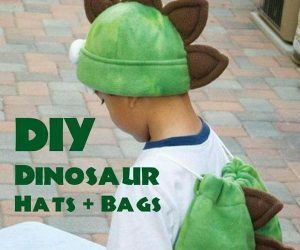 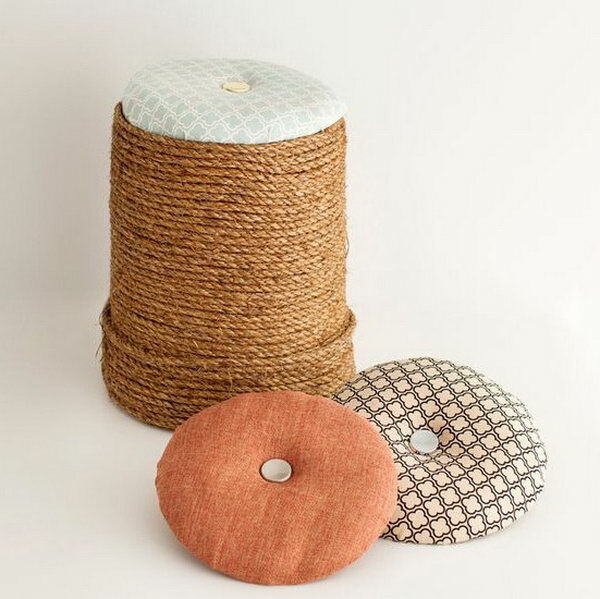 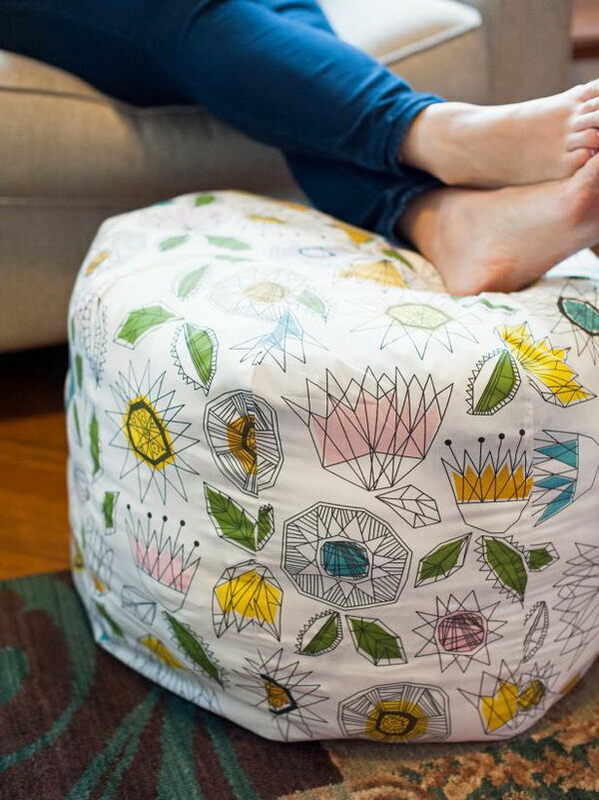 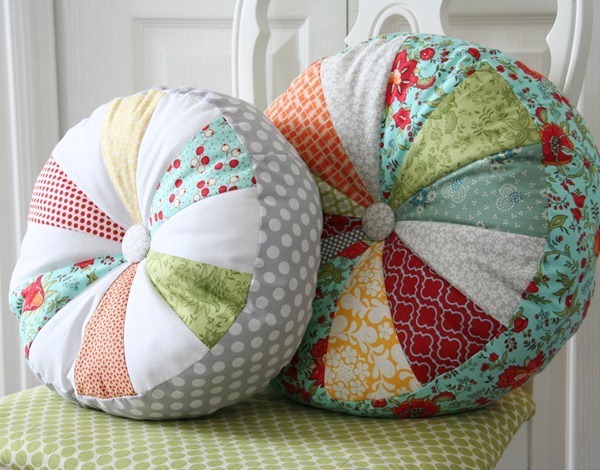 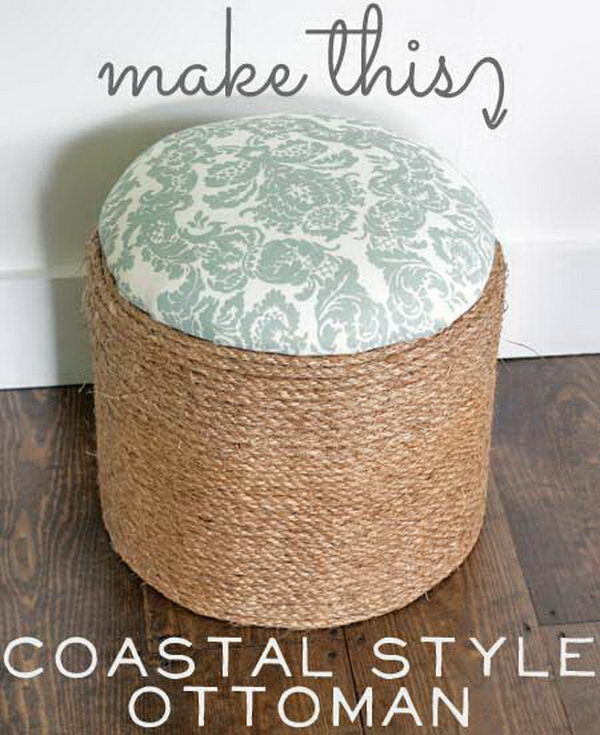 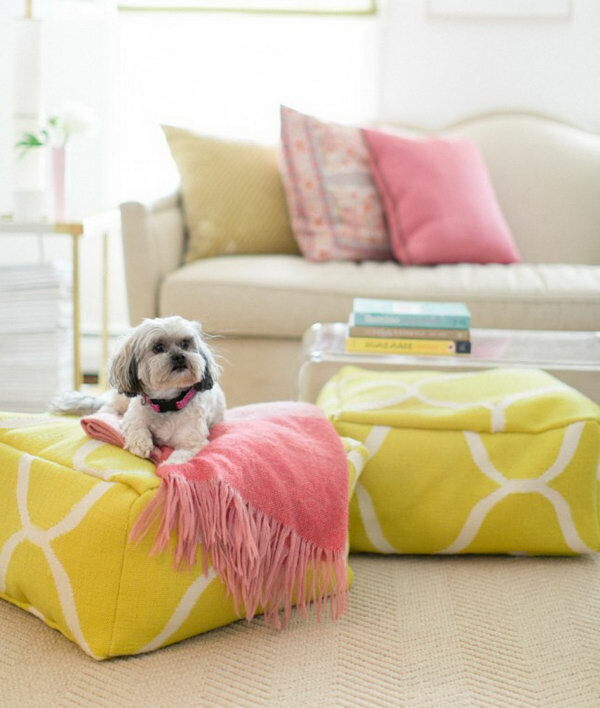 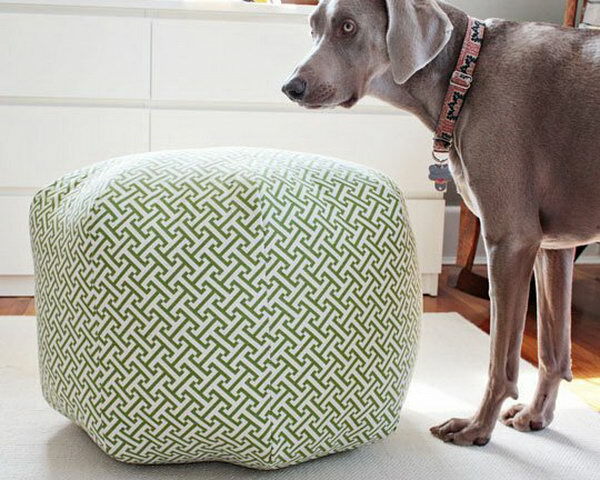 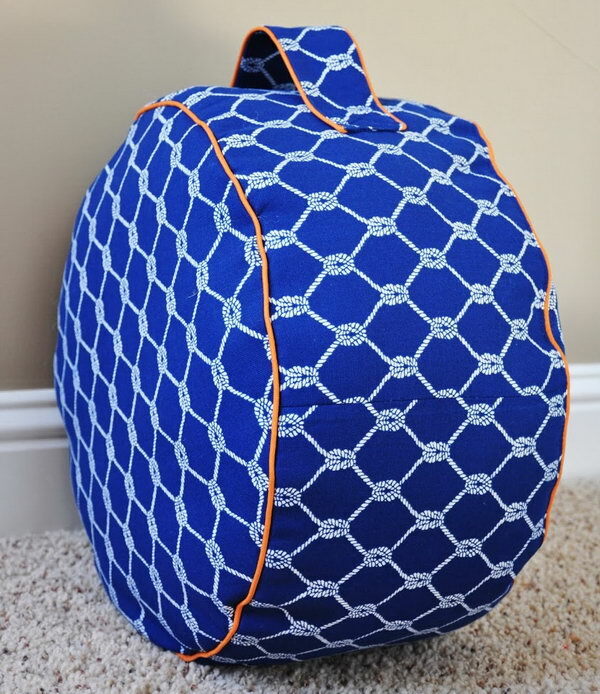 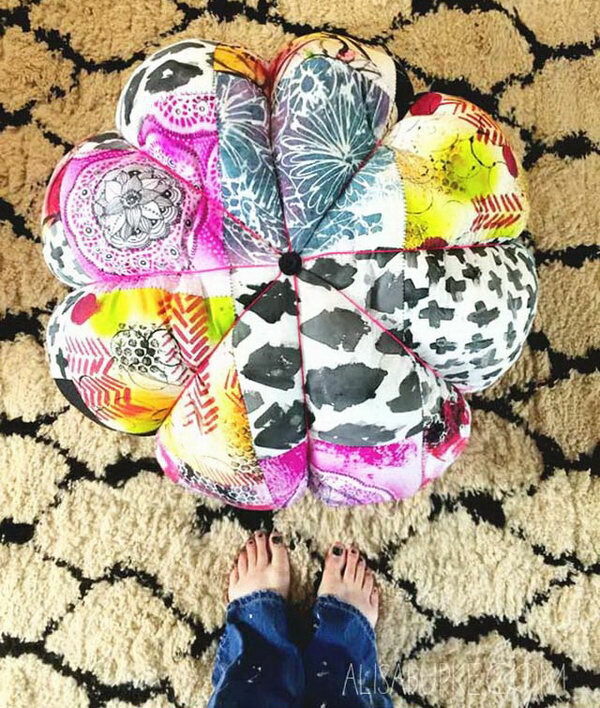 Take a look at these inexpensive DIY ottomans and floor poufs tutorials and ideas for a little inspiration for your home, which are great for adding a little design, extra seating to your crib and a place to prop up your feet.